Banat Lines sa mga Torpe is a cool selection of banat lines and puns that you can throw to a "Torpe". What is a torpe in the first place? It is term used to describe a guy who is so in love with a girl or admire a person but is too shy or worst is too coward to express his feelings for her. Shy type they say. This kind of men have hard time to convey his affections for a girl and most often act like innocent and pretentious. Most women easily get annoyed with these men but of course they don't want to make the first move. The bad thing here is because he is afraid to tell what he actually feel deep inside he might never know what the girl also feel for him. Wala ka pa ring ginagawa! "Hi Ligawan mo na 'ko. Pakshet Ka!" Malapit na ang 2015..Torpe ka pa rin? Bago-bago din pag may time. kung hindi ka naman nanliligaw? Torpe ka kasi! 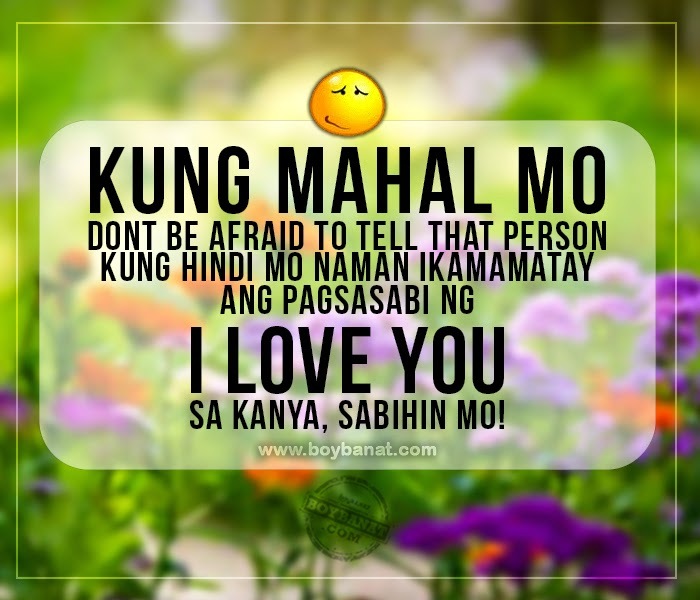 Ang sweet sa text pero pag kaharap mo na......Ang Torpe! Kung hindi mo naman ikamamatay ang pagsasabi ng "I love you"
If you have own Banat Lines sa mga Torpe, Feel free to share your own collection with us. We'll be glad to have it featured here. Just Contact Us.